2013년 10월 14일 British Association of Seoul (이하, BASS)의 캐리 매티 대표와 마리아 킴 후원자가 우리누리 지역아동센터를 방문하였습니다. BASS는 우리누리 지역아동센터 아동·청소년들의 영어능력향상을 위해 프로그램비를 지원합니다. 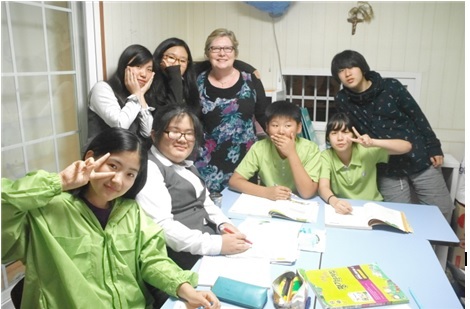 Kerrie Matthee, president of BASS, and Maria Kim, member of BASS, visited in Woorinuri Child Welfare Centre on 14th OCT, 2013. BASS is a charity, which has annually done donation for English class in this centre. 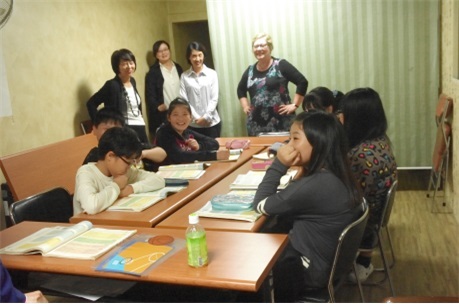 In this visitation, they have looked around the centre and participate English class. Moreover, they could meet and had conversation with each children. The time must be very meaningful for Woorinuri as well as BASS.